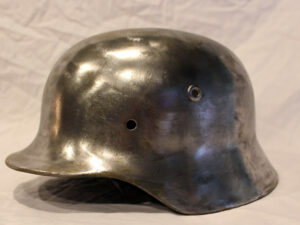 This is a very nice German M18 helmet with the famous “rattle logo” of R. Lindenberg A.G., Remscheid-Hasten. 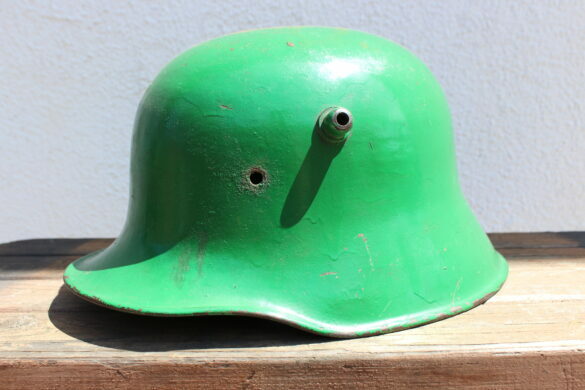 Bell-L marked shells are unique among WWI German helmet as they have tapered lugs. 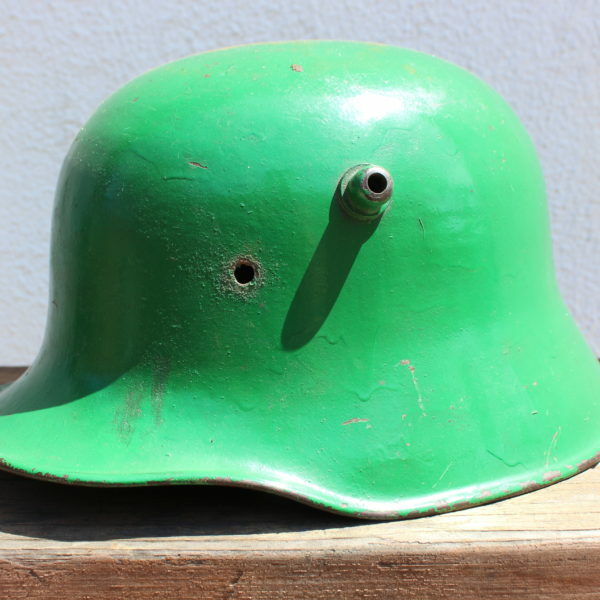 This helmet was made in the later part of WWI. 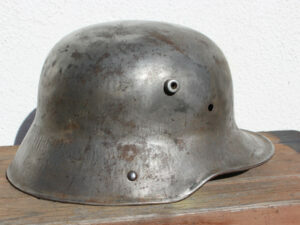 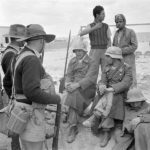 The M18 was worn by both the Imperial German Army as well as the Freikorps and Reichswehr. 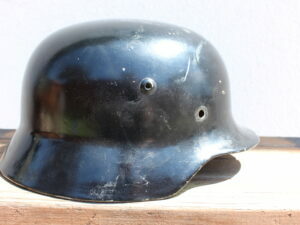 It was also the helmet of choice of the LAH-SS and Allgemeine SS. 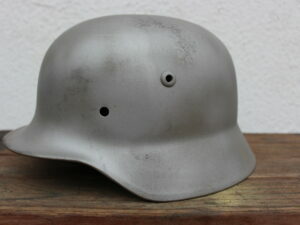 The same model would also see considerable action during the Third Reich Era. 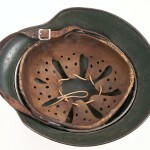 The helmet comes to you fully restored with liner and chinstrap. 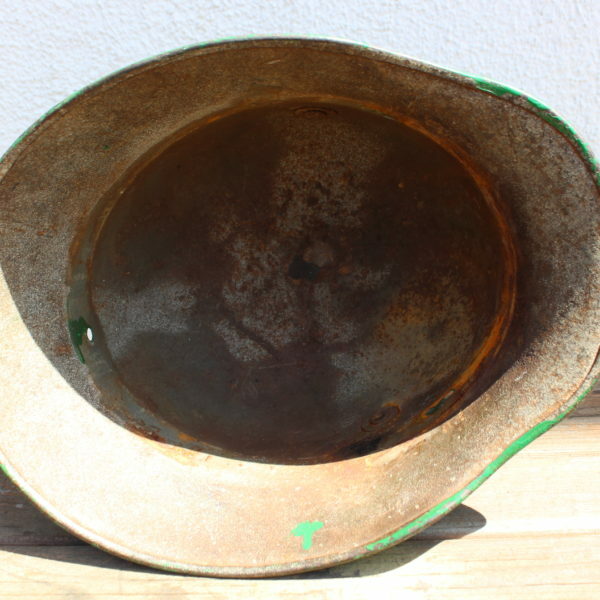 You can choose from a M18, M20, M24, or M31 liner. 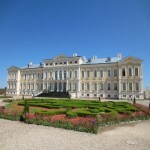 Please specify the era of restoration you would like. 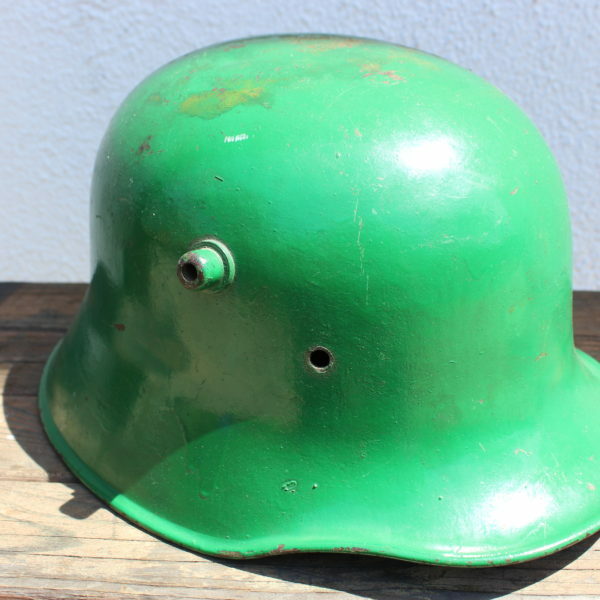 Decals, and hand rendered insignia are available on request for an extra fee.